Our Anti-tarnish Jewelry Rolls are completely lined with anit-tarnish fabric. 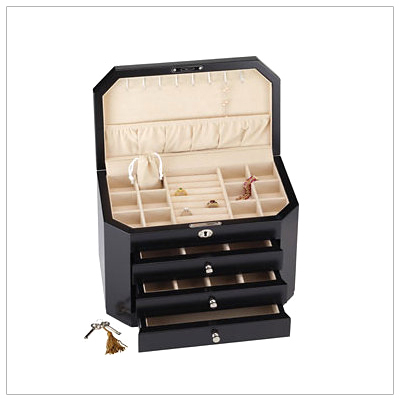 These rolls have 8 sectiions for storing your jewelry. Clasp a bracelet or necklace to the top ribbon and slip them down into the pockets for storage. 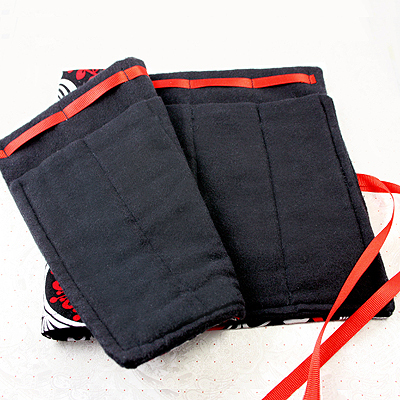 The pockets will also keep them separated and prevent scratching. You can roll them up and tie them to keep jewelry secure. Works for sterling silver and gold. 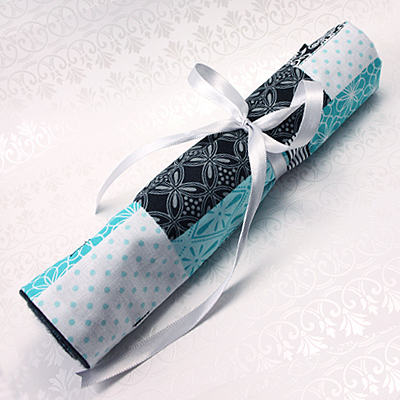 Our Anti-tarnish Jewelry Rolls are perfect for traveling and make wonderful gifts. Available in two different patterns. **Do not wash or dry clean as this will remove the anti-tarnish properties.